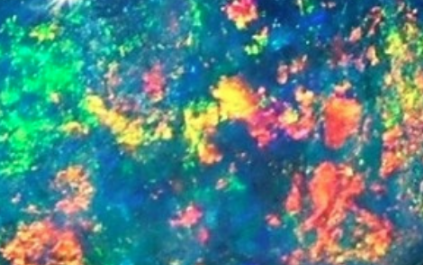 Many cultures have credited opal with supernatural origins and powers. Because opal shows so many colors, the Romans thought it was the most precious and powerful of gem of all. The Bedouins believed that opals were lightning flashes that had fallen from the sky during thunderstorms. The ancient Greeks believed opals gave their owners the gift of prophecy and guarded them from disease. Europeans have long considered the gem a symbol of hope, purity, and truth. Opal is believed to spark creativity and help people find enjoyment in life. It is used to help improve eyesight. The gemstone has been associated with the treatment of addictions, and can help moderate and harmonize sexual desires. The pearl signifies innocence, purity, and faith. Healers have used pearls for centuries to help balance body rhythms and hormone levels with lunar cycles, and to harmonize human beings with the natural world. The pearl is believed to help access one’s inner wisdom, to nurture love, enhance personal integrity, bring truth forward, grow sincerity, and inhibit immodest behavior. Pearls are said to assist in calming and centering one’s mental state. In the realm of physical healing, pearls have been used throughout history to help treat the digestive tract, muscular systems, and the skin. For centuries, the Chinese have relied on the healing properties of the pearl to treat everything from simple eye ailments to serious heart problems, bleeding, fever and indigestion. Pearl powder is thought to relieve bloating, increase fertility and ease childbirth. Pearl powder is also considered an effective beauty treatment. Asian royalty has used it for centuries to prevent the development of dark skin pigmentation from age and sun exposure. Today, people around the world use it as a skin whitener and cosmetic. Known as the stone of compassion, peridot is believed to bring good health, restful sleep, and peace to relationships by balancing the mind and emotions. This lovely bright green stone inspires eloquence and creativity. It attracts love and good cheer. Peridot fosters emotional balance, security, and inner peace. It soothes nervousness, heals emotional and physical pain, and lightens suffering. Such usages date back to ancient Roman times when peridot rings were worn to relieve depression. Ancient Egyptians called peridot the “gem of the sun” and believed it protected those who wore it from evil. It was used as a charm against sorcery, black magic, evil spirits, night terrors, and madness. It was used to cure cowardice and calm anger. According to the great Roman philosopher, Pliny the Elder, peridot must be worn on the right arm to release its most potent benefits. Peridot has been used to treat diseases of the liver and difficulties with digestion. It aids in physical detoxification and helps with problems effecting the kidneys, bladder, gall bladder, and the stomach. Peridot helps with ulcers, constipation, and irritable bowel syndrome. Peridot has a tonic effect and helps to regenerate tissues and strengthen the metabolism. It aids the heart, thymus, lungs, and spleen. If placed on the abdomen, it aids in giving birth by strengthening the muscle contractions while lessening the pain. Peridot is also helpful in treating skin diseases and difficulties associated with the adrenal glands and endocrine systems. It is also used to treat fevers. The ruby has a long history of being used for its powers of protection, as well as for its ability to promote love, nurturing, health, knowledge, and wealth. Historical records indicate that rubies were traded as early as 200 B.C. along China’s famous North Silk Road. Chinese royalty buried rubies beneath their building foundations to secure good fortune. Ancient Hindus believed that they would return in a next life as emperors by offering rubies to the god, Krishna. In Myanmar (Burma), warriors implanted rubies under the skin to give them protection in battle, as well as courage. In the Middle Ages rubies were believed to predict impending danger by turning a darker color. In Russia, Ivan the Terrible used rubies for their therapeutic value for the heart and mental acuteness. In the 13th century, ground rubies were considered a cure for liver problems. For centuries, royalty has used rubies to emphasized their high status by including them in crowns, jewelry, and vestments. Rulers have also worn rubies to enhance their wisdom when faced with crucial decisions, especially regarding financial matters. In the ‘Wizard of Oz,’ ruby slippers protected Dorothy from evil forces. A ruby amulet, pendant, or charm is believed to bestow harmony, emotional balance, and contentment to its wearer. Ruby is believed to amplify energy, heighten intellectual awareness, stimulate compassion and creativity, instill courage and honor, and bring about success in wealth, love, and in battle. Ruby protects the home, possessions, and one’s family. Ruby is said to enhance spiritual wisdom. Ruby also improves motivation and encourages truthfulness. As a symbol of enduring love, rubies are believed to enhance one’s powers of seduction and virility, and ensure everlasting passion. The ruby is also used to stimulate ambition in men. Rubbing this gemstone on one’s skin improves physical and mental health. It will purge the body of toxins and revitalize energy. The ruby stimulates the heart Chakra and improves blood circulation. Sapphire have been prized for its mystical powers since 800BC. In ancient Persia, it was believed that the reflection of blue sapphires gave the sky its color. The Ancient Greeks associated sapphire with the god Apollo, and his petitioners often wore sapphire while consulting oracles at spiritual sanctuaries such as Delphi. The Cingalese believed that wearing a star sapphire could protect against witchcraft. Hindus considered the sapphire one of the most powerful gems to be used for offerings during worship. Buddhists believed that sapphire could aid in the quest to increase one’s spiritual faith and devotion, and to keep thoughts pure. In the 12th Century, the Roman Catholic Church considered blue sapphire a holy stone and a symbol of Heaven. It was the preferred choice for ecclesiastical rings. In European culture, sapphire has decorated royalty and the members of the clergy for centuries as a symbol for nobility, truth, sincerity, and faithfulness. Christians have referred to the star sapphire as the “Stone of Destiny,” associating the gem’s three crossbars with Faith, Hope, and Destiny. The famous Victorian explorer from the 1800s, Sir Richard Francis Burton, known for his extensive travels throughout Asia and Africa, always carried a stunning star sapphire as his personal talisman. Just the sight of the gem was believed to bring good luck. As a reward for people who provided him with good service during his travels, he allowed them to see his “lucky charm.” European kings wore sapphires necklaces as a defense against harm and envy, and to attract divine favor. In Hebrew lore, King Solomon and Abraham both wore talismans of sapphire. In contemporary times, the international popularity of blue sapphire exploded when Prince Charles give an exquisite sapphire engagement ring to Lady Diana Spencer. Sapphire has long been identified with chastity, piety, and repentance. It has been called “the wisdom stone” for its ability to stimulate mental concentration and enhance creativity. It helps to focus and calm the mind, dispel negative thoughts, and relieve mental tension. Sapphire can help to develop wisdom, discern truth, and enhance the understanding of justice. Those involved in legal matters can especially benefit from sapphire’s powers. Wearing sapphire helps one to lead a life of sincerity. The sapphire is also associated with romantic love, representing fidelity and romantic devotion. It is known as the stone of new love and commitment, and it is claimed to be useful in encouraging faithfulness and loyalty. The gem can bring harmony between lovers, as well as peace between adversaries. It is also been credited with the ability to preserve chastity, help to discover fraud, and reveal treachery. Its health benefits include protection from poison, fever, plague, skin diseases, ailments of the eyes, sore throats, headaches, and nightmares. Tanzanite was discovered less than sixty years ago in a remote section of eastern Tanzania, Africa. Although it is one of the most recent gem discoveries, it is already accepted as one of the most exceptional metaphysical crystals for spiritual exploration. Tanzanite is credited with the ability to bring forth the full potential of those who wear it. It is an excellent gem for those beginning their exploration of psychic powers. Tanzanite is believed to facilitate a higher consciousness and stimulate intuition and perception. It aids deep and profound meditation. It aids the process of discovering the answers to the questions related to the meaning of life and in finding self-acceptance. Tanzanite generates an energy of happiness, helps bring relief from worries, and can provide insight into emotional issues. It inspires one in feeling more compassionate, loving, and centered. It is beneficial to wear tanzanite or have it close by in situations where one needs a calming and soothing presence. Tanzanite helps in overcoming experiences of fear and crises, and in re-building trust. As an aid to the workplace, Tanzanite is calming and soothing. Even a tiny piece is beneficial for overcoming communication difficulties. It Is also useful in problem solving. Healers use Tanzanite to strengthen the immune system, detoxify the blood, and improve vitality. It promotes the regeneration of cells, skin and hair, and protects against the side-effects of medical or surgical intervention. Tanzanite is useful in treating psychological disorders, stress, and nervous tension, and is excellent for the problem of excessive sweating. It has been used to relieve migraine headaches. Because of the high vibration rate of the stone, tanzanite is believed to preserve youthfulness. Throughout history, pink tourmaline has been prized for its metaphysical powers. In ancient India, rubellite tourmaline was believed to bring insight to those seeking goodness, as well as to reveal any blockages to achieving goodness. The Romans used pink tourmaline as an aid for stress reduction and troublesome sleep. In the 1800s, European artists used it to stimulate their creativity. Contemporary African, Native American, and Aboriginal peoples wear Rubellite as a talisman, drawing on its powers of protection and healing. Pink tourmaline is highly valued by people who have difficulty dealing with fear and who suffer from panic attacks. It is used treat people with issues of inner chaos and dread. Pink tourmaline is helpful for those who bear a broken heart, as it encourages love, gently disperses emotional pain, and helps to dissolve disruptive feelings. It calms the negative emotions and helps to overcome sorrow or traumatic memories. Pink tourmaline represents a love of humanity and humanitarianism. It is worn to promote sympathy towards others. It introduces the presence of compassion and wisdom when dealing with others because it promotes flexibility of thought and open-mindedness. It is an excellent stone for healers and counselors because it better listening and understanding. It carries the virtue of unconditional love and friendship. It is used to gently remove emotional pain from those suffering from heartbreak or any form of abuse. This gem is used to renew vitality; strengthen self-confidence; attract passion; and enhance sensuality, as well as to reduce stress, anxiety, fear, and depression. At Turley Jewelers, we pride ourselves on carrying using finest quality gems for our jewelry creations. Please drop by and visit us! Our store is located at 11219 South Dixie Highway, Pinecrest Village, Miami, FL 33156. We offer plenty of free parking. Our hours are 10am-6pm Monday through Sunday. FYI - we buy gold, jewelry, luxury watches, and offer financing! If you have any questions, just give us a call (305) 252-1123.